Often, you want to give clients more than they might expect. A surprise thank you maybe, prints to include with a digital-only package or a set of mounted images to give to loved ones. Our Print Packs are perfect for that. 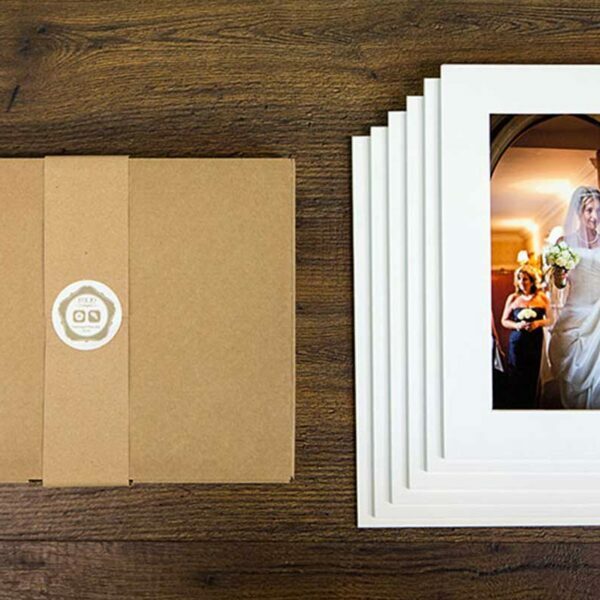 Each pack contains six mounted prints – either 6×4” or 5×7”. You can choose from any of our archival-quality fine art papers and the prints will arrive with you or your clients in a high quality Kraft cardboard box.